All the way back in 1842, when humans still spent all their time huddled around in the dark, gnawing on potatoes and reveling in abject confusion (basically), brilliant genius Ada Lovelace penned the world's first computer program. Nowadays, Ada Lovelace is a women-in-STEM hero; annually, we honor her and celebrate the achievements of all women in STEM. Sadly, though, Lovelace stands out as a glaring exception to the rule: in most accounts of the history of scientific achievement, there's a striking paucity of female names. So, very fittingly, Anne Fausto-Sterling and Maia Weinstock (both of whom are women scientists) are hosting a mass Wikipedia edit this Ada Lovelace Day. The event is meant to improve the online encyclopedia's coverage of female scientists. 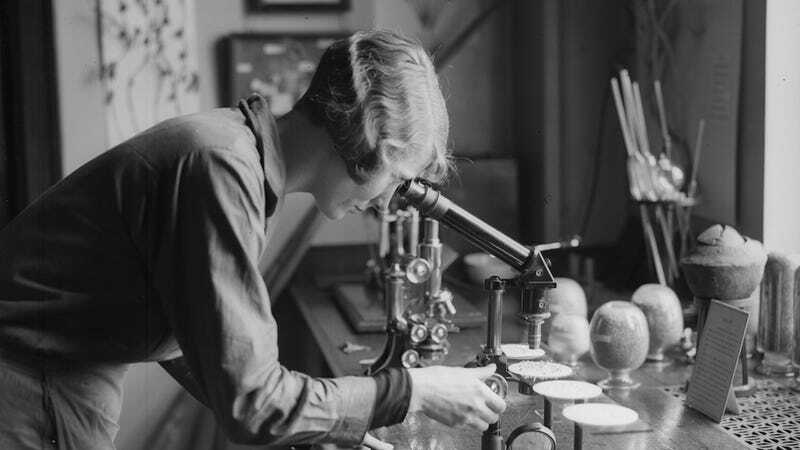 Fausto-Sterling agrees adamantly with that sentiment: “What we lose by not having a full panoply of information about women scientists is that we continue to perpetuate this idea that this historian had that women haven’t done science at the same level as men or are somehow deficient in this area." As a method of recourse, she's spent years gathering books and news clippings that document women scientists, and she intends to donate them to Brown one day. Not only will it make valuable information about women scientists more readily available, the event will also ostensibly train women how to edit and create articles of their own. You know the old saying: address a historical tendency to overlook accomplished women alone, and you laugh in the face of patriarchy for a day; empower young women to do the same whenever they please, and you dance on the grave of male-centric bias for life.